With the approach of the holidays comes the 38th annual Chi Omega Christmas Market. 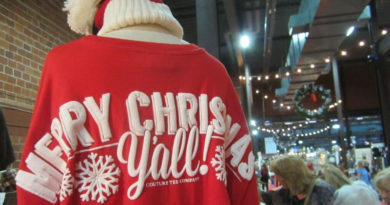 With the theme Chi Omega Candy Christmas, this sweet shopping experience, hosted by the Dallas-area Chi Omega Alumnae, will take place from Nov. 19-21 at Centennial Hall in Fair Park. The event, which has already pledged $210,000, will benefit 11 Dallas charities. 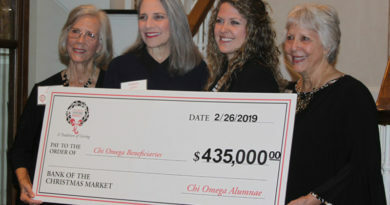 The Dallas-area Chi Omega Alumnae anticipate to raise more than $7 million this year, continuing the group’s philanthropic tradition. This festive experience allows shoppers to peruse goods from more than 175 vendors in preparation for the upcoming gift giving season. To kick off the shopping affair, a preview party will be held on Nov. 18 from 7 to 10 p.m. Guests will be allowed to preview the market and enjoy cocktails, appetizers, and a raffle. Tickets to this event are $75 and include readmission to the remainder of the market. For those wanting to get the jump start to this spree, first call shopping is set for Nov. 19 from 9:30 a.m. to 1 p.m. First Call tickets can be purchased for $20 in advance, or $25 at the door, and are good for general admission re-admittance throughout the rest of the Market dates. Nov. 19 — 1 to 9 p.m.
Nov. 20 — 10 a.m. to 6 p.m.
Nov. 21 — 10 a.m. to 5 p.m.